HJ: The only thing keeping you from having what you want — particularly the life, happiness and fulfillment you want — are emotional and spiritual blockages. Emotional states create outcomes. Your emotional state determines what you are capable of doing and becoming. A severely depressed person will constantly be struggling with themselves and hence experience the reflection of that in their lives. Someone happy and motivated will produce the opposite results of the depressed person. High level coaches and high achievers know that at the end of the day, it’s all about state management. Specifically emotional state management — it opens up the doors for you to experience and create literally anything you want. 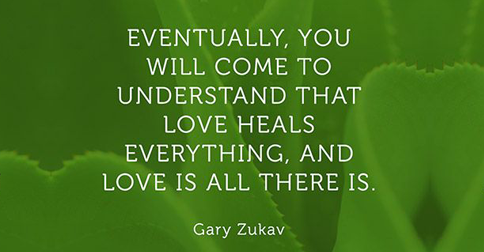 However, the key to that is healing emotional and spiritual blockages. In order to become a master of your emotions, you must remove those things which are holding you back and that happen on autopilot without your conscious control. Automatic emotional patterns ingrained into your system must be erased or reprogramed so you once again gain control over yourself. One of the most important things for us to learn how to do is emotional processing. Emotional processing is a natural part of personal growth, and spiritual evolution. It is natural because in order to awaken to greater levels of the universe and of ourselves we must process the limiting beliefs and emotional blockages that restrict us from that aspect of ourselves. Emotional processing is not something that we have to do consciously because it occurs naturally when we focus on growth. It is a natural part of the growth cycle which we must become aware of so that we can process consciously with grace. Yet before we go into the three main practices essential to emotional processing (and spiritual development for that matter) we must first touch on what it is that we are processing. Yes they are emotions, but why are they there, and what is their significance? The ego itself is the result of unprocessed energies and emotions. The ego (what is ego?) is like a disease of our perception which keeps us in perpetual suffering, disconnected from the universe and from our true power. At birth we were bombarded with too many incoherent (negative) energies at once and very little of the natural energies we so desperately required. This created the ego initially as a perceptual barrier to protect ourselves from some of the brute force of this shock. The only reason it was formed was because we were not yet conscious enough to process our emotions effectively, so instead all the energies, beliefs, and emotions that we could not process at that time manifested themselves as the ego which is the culmination of all our unprocessed emotions and experiences. The path of emotional processing is therefore about dissolving the ego incrementally by removing our energy and attention from it. To heal this suffering, we need only to find balance which is achieved through meditation by establishing and cultivating inner peace, and internal silence. When we are balanced then our energies can be regulated and recycled, and thus purified. When we deal with too much energy at once, either by increasing our energies too quickly, or by experiencing too much negativity at once, that is when we have a tendency to throw up a barrier within ourselves and resist these energies in an effort to protect ourselves, which is exactly how the ego was formed. These barriers are emotional, mental, perceptual, and spiritual blockages which will be released by emotional processing. There are two levels of emotional processing. The first pertains to the perceptual level of emotional processing which deals with gradually banishing all negativity from our awareness, and releasing all blockages from our consciousness. The second has to do with releasing unprocessed emotions (energy) which are stored in our bodies. Healing one will heal the other because everything about ourselves is intimately connected, nevertheless, to get the best results it is always best to work with our body as a whole. There are three main practices which are essential to processing emotions. They are:Meditation: for developing attention to know ourselves and the universe more intimately;Mindfulness: to free ourselves from our minds and live consciously with our whole heart; and Non-attachment: so that we can free ourselves from our past by letting go of our emotional attachments. Meditation increases our level of consciousness by developing attention. This is key because it cultivates a deep inner peace and a powerful sense of mastery which enables us to maintain our balance, and deal effectively with any turbulence in our lives that may be the result of emotional processing, or simply of life itself. This occurs because the result of developing our attention is that we experience a greater degree of connection with the universe, and more developed awareness of our infinite spiritual nature. Developing our spiritual awareness is the whole point of personal development and personal mastery, and no significant emotional processing will occur without developing this awareness. When we become aware of our spiritual nature, we will find our purpose in life, and it is this sense of direction which is perhaps most important for growth and emotional processing. Our lives are filled to the brim with emotions, thoughts, actions, and experiences. If not processed properly all of this information clutters up our conscious minds, and if our minds get too cluttered, then the information and the energy in which we come into contact with every day, and every moment, will not be processed correctly which creates emotional blockages and unprocessed emotions in the first place. If these emotions, experiences, and thoughts are not immediately dealt with, then they are stored in our bodies and minds and may express themselves in undesirable ways such as disease, illness, or mental and emotional imbalances ranging from stress and frustration, to self doubt and fear. The first step to processing emotions must be then learning how to process our experiences as they occur so we do not add to our emotional blockages and unprocessed emotions. This gives our unprocessed emotions the space necessary to rise to the surface so that they can be processed. Meditation gives us that space. It creates space in our minds by helping us to focus on and develop our attention so that our minds can stop trying to be the master and can instead submit to the power of our attention, its rightful place. Once our attention is strong enough then are minds are free to slow down which creates internal silence, through which our unprocessed emotions, thoughts, and emotional blockages can rise to the surface to be dealt with. Once they are on the surface, we must employ the next step:mindfulness. Mindfulness is in many ways the extension of our meditation practice into our daily lives. Meditation is what we practice to reconnect, cleanse, and cultivate our connecting link with Spirit (Intention, Power, God Consciousness), and mindfulness is what we practice in order to express that infinite potential through ourselves. The opposite of mindfulness is carelessness. When we are careless with our actions, our thoughts, and our emotions we create circumstances in our lives that are first of all unintentional, and more than likely are harmful to ourselves and those around us. Mindfulness on the other hand is a practice where we think, act, and behave consciously, with extreme care, and with infinite patience. When we act and behave in this manner we weigh each decision carefully making full use of our power of choice and thus act with deliberation to intentionally create our own reality, and manifest our own destiny. The other major benefit of mindfulness is that it develops our understanding of everything. Not just of our habits, behaviors, attitudes, thinking and emotional patterns, but also of the universe, our lives, nature, and those around us. By giving everything our complete and undivided attention we learn, and the knowledge that we gain is what helps us to grow. When we practice meditation and create space in our minds for unprocessed emotions to surface, we practice mindfulness so that we can become aware of what is surfacing. By becoming aware of the nature of our thoughts and emotions, this gives us the opportunity to understand ourselves better and see clearly what our emotional blockages are. We will determine them by observing the nature of our thoughts, and any thought, any emotion that does not align with universal principles is thus an emotional blockage. Mindfulness is the path to knowledge, and once we gain knowledge of this sort, then we know where we have to change our thoughts, emotions, actions, and behaviors to align with the universal mind. Then by coming into alignment we grow, and emotional processing occurs. It is important not to judge what comes to the surface or come to any mental conclusions of any sort, for that is not mindfulness – mindfulness is silent observation. By observing silently and objectively we will see everything clearly, and over time we will see what is going on; what is working, and what is not; what makes us feel good, and what doesn’t; what creates positive results, and what creates negative results. Then with all this information we will naturally be inclined towards the path that results in spiritual awakening because that is the natural predilection of all things. Meditation and mindfulness are complimentary practices which gives us both the power of attention and the understanding necessary to get ourselves into a position to increase our level of consciousness through emotional processing. Meditation creates space for our emotional blockages to surface and gives us direction; mindfulness helps us to understand and act in alignment with our highest potential; and non-attachment releases our unprocessed emotions, and culminates the cycle of emotional processing. Non-attachment is the process of detaching ourselves from everything we identify with (specifically from our thoughts, emotions, and past), so that we can live peacefully, and with love, from our highest truth. Our attachments to our past experiences and the identity they have created is why we have unprocessed emotions, because the act of attaching to them by identification disrupted the natural flow of our awareness and created blockages (the ego). I think that when we talk about non-attachment particularly in reference to emotions people get confused between non-attachment and suppression.Suppression means we are so closed off and numb that we feel nothing at all. Non-attachment on the other hand means that we are completely open and vulnerable but are not affected by negative energies or positive energies of the world because we draw our energy directly from source instead. Only through non-attachment can we completely let go of our ego, our suffering, and our limitation to release into the infinite potential and energy that is the universe, and which is also our true nature. And unless I am much mistaken, that is what emotional processing is all about. To practice non-attachment we need a sufficient level of attention (developed through meditation), and constant awareness of our internal world (developed with mindfulness), so that we can have the personal power and attention necessary to consciously let go of our negative feelings (anything that isn’t aligned with universal principles) and return our internal state to openness, peace, and balance. Non-attachment is not a clean process, especially at first. When we do notice that our internal world is imbalanced, all that we must do is consciously turn our attention inwards and return ourselves to a state of balance and inner peace. Every time a negative memory comes to the surface of our awareness, instead of unconsciously adopting the emotion of that memory, what we should do is acknowledge it, feel it within us, and then return ourselves to inner silence by meditating and observing those emotions, thoughts, and memories instead of identifying with them. Once you feel the emotion and fully acknowledge it, simply choose peace instead and plunge your awareness deep within you where your inner light resides and where you are perpetually connected with source. Repeat this process as many times as necessary, with every single negative thought, emotion, or memory that arises within your awareness. This takes a lot of practice and attention to be able to do consistently which is why mindfulness and meditation are so elemental. Yet I implore you not to think that this is a tiring practice, for it isn’t! The more that we practice doing this process, the stronger our attention becomes until not only is it easy, but we won’t even have to think about it because it will become second nature. As we consciously and deliberately condition our minds and our energies to let go of low energy and shift towards higher energies, our thoughts, emotions, and actions will perpetually grow towards higher energies which results in an increased awareness, experience, and expression of our unlimited nature. Who would you be and what would your life look like if you had no negativity? A connection that I would like to emphasize is that between our thoughts, emotions, our biology, and our health. New research (and specifically Bruce Lipton’swork) into genetics and DNA has shown that our DNA and more specifically our genes (which are the blueprints for life) do not arbitrarily decide which genes to code. It is our environment which decides which genes to activate and which ones not to. So the question is, what determines the environment? It is our perception (our thoughts and emotions) which determine our environment. New research into DNA has also shown that one of the functions of our previously called ‘junk DNA’ is that it transmits and receives energy. It is this mechanism which ‘reads’ the energy of our environment, created for us by our perception of the environment which determines our local environment within the body, so that our DNA reacts accordingly and codes genes to suit the environment it is in. We have the potential to be the masters of our perception, therefore we determine the environment for our DNA. We can either create hostility and disease, or harmony and health. It all has to do with our perception. Our DNA responds directly to energy, and it is our thoughts and emotions which determine the quality of the energy, and therefore the quality of the environment for our biology and our own health as a result. Through emotional processing (as the result of spiritual development) we consciously release negative energies within our minds, and bodies so that we can live with energies of a higher vibration (happiness, optimism, love). The beauty is that there is no limit to the level of positive energy that we can experience! We can continually release negative energies and experience higher and higher levels of positive energy. So imagine what your DNA would do with love perpetually flowing through your awareness and your body. Not only spiritual evolution, but maybe even biological evolution. For evolution throughout history has always occurred as the result of a shift in the environment, so maybe this is the shift in the environment which will occur for the next step in evolution to take place – spiritual/consciousness evolution resulting in the energetic shift necessary for biological evolution. Our supreme power over the health of our bodies, mind and spirit is an exceptionally important topic, one which some will undoubtedly desire to cover up (for example the pharmaceutical companies and the medical establishment). For if we obtained emancipation from the system in regards to our health and happiness, what else is next? Once we begin to discover the creative power we have within bodies, the next logical step would be to apply that same power over our reality as well. The power to heal is inherent in all human beings. All that we need is mastery over our thoughts and emotions to create the conditions for healing by only allowing ourselves positive, uplifting, high-energy emotions and thoughts. This is the inter-connectivity between the perceptual and biological level of emotional processing, and emotional processing itself is the process of healing on all levels. Earlier when I spoke of how the ego is the manifestation of all our unprocessed emotions and energies, but there is another place our unprocessed energies stored themselves: in our DNA. As we release these energies through emotional processing not only do we purifying our minds and perception, but we are healing ourselves and literally rewriting our DNA. When we don’t process our emotions and experiences properly, they manifest themselves in unexpected and generally undesirable ways, form a nervous breakdown or a cold, to a heart attack or cancer. The power to heal is in our hands, and it always has been, only we didn’t remember. In one of Carlos Castaneda’s books I came across a concept of Don Juan’s that was emphasizing the importance of letting our bodies remember. At the time I didn’t fully understand what that meant, but I felt it’s importance. Letting our bodies remember is achieved through emotional processing, because as we get the illusion of the ego out of the way, and as we release all the pent up energies and emotional blockages that are limiting us, what we do is we open ourselves up to the knowledge and the experience of ourselves as energetic beings; we tap into the knowledge encoded in our DNA, and into our conscious connection with spirit which allows us to interface directly with the universal mind (Intention).